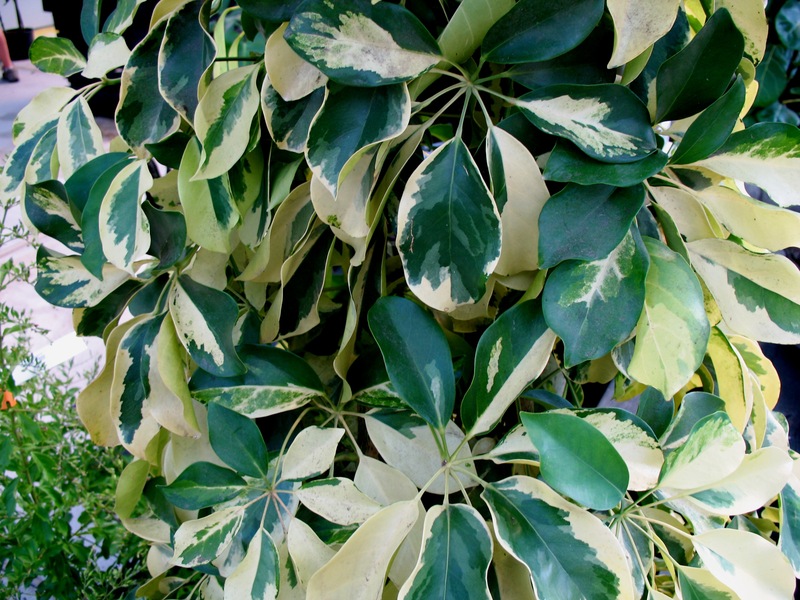 Comments: The special feature of this tropical schefflera is the striking green and white variegated foliage. This plant is relatively easy to grow provided that it receives a moderate amount of natural light each day. It has become a rather popular indoor houseplant. Check plants periodically for aphids and scale insects.